With more than 20,000 animals in our care, it would be impossible to name every single individual. Even with so many animals at the Aquarium, there are some special cases in which an individual animal might get a name! Generally, there are three categories that animal names fall into: names that are educational, names that honor someone in the marine biology field, or fun names that seem to fit the animal! Scroll down to meet a few Aquarium residents with special names. Roast Beef is an outreach penguin who serves as an ambassador for his species. Every penguin at the Aquarium receives a name that is educational in nature, which means that it can relate to the natural habitat or biology of penguins. Believe it or not, Roast Beef is an educational name! Roast Beef Island is a part of the Penguin Islands, a historical group of scattered islands off the coast of Namibia which are a part of the natural range of African Penguins. 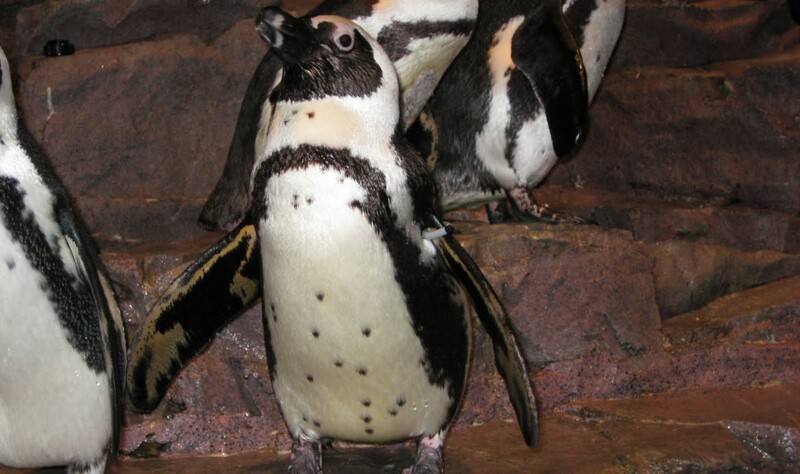 Visitors to the aquarium can use tablets at the penguin exhibit to identify penguins according to bracelets worn on their left or right wing. See the names and stories of our summer 2017 baby penguins. 1-year-old Ron was born at the Aquarium. 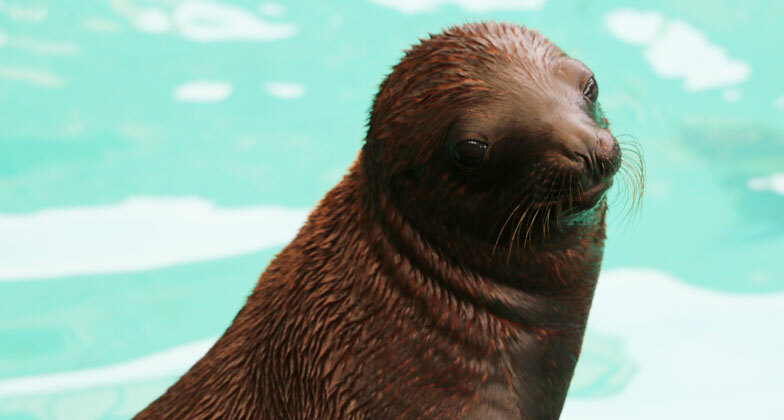 The Aquarium’s youngest sea lion is a male named Ron, who was born in July 2017. This rambunctious juvenile is named in honor of Ron Schusterman, a renowned marine biologist and researcher who studied cognition in marine mammals. You can learn more about our sea lions, including Ron and his mom, Tipper, in the New Balance Foundation Marine Mammal Center. Our male giant pacific octopus is fondly called The Professor. When senior aquarist Bill Murphy found out that our newest giant Pacific octopus was a male, he immediately knew what he’d be called. Professor Ludwig Von Drake is named after Donald Duck’s uncle who is known for singing the “Spectrum Song” – fitting for an octopus who can change color! 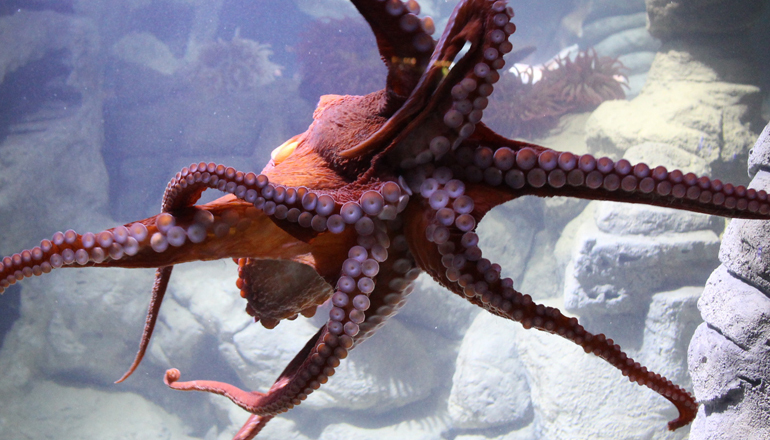 The Professor can be found in our Olympic Coast exhibit, along with our female octopus, Freya. Next time you visit the Aquarium be sure to ask our staff if there are any special animals that have names!